* AC kit for touch free is an optional add on. 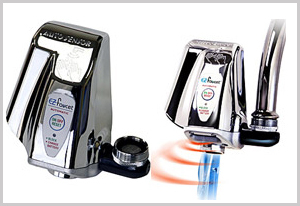 New EZ Faucet makes any current faucet a touch free faucet. 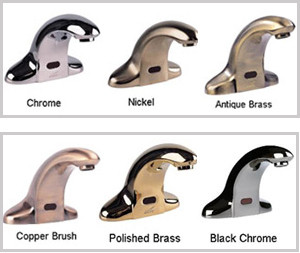 Runs on 4 AAA Batteries for 48,000 applications fits 98% of all sinks, 2 minute install. Touch Free Faucet with adjustable temperature mixing valve.